After much deliberation I came to the conclusion a new book cover was needed for the latest book in the Steve Regan Undercover Cop series. It’s Book 2 and titled Dilemma. There have been some early reviews of Dilemma too. I hope you like it as much as I do. My wife commented, “it looks like a movie poster.” That’s good… right? The paperback version is to be released any time soon on Amazon. Woohoo! Nice start indeed. It will be interesting to see what other female readers make of it as I don’t agree “it’s a man’s read.” All reviews are opinion, of course. 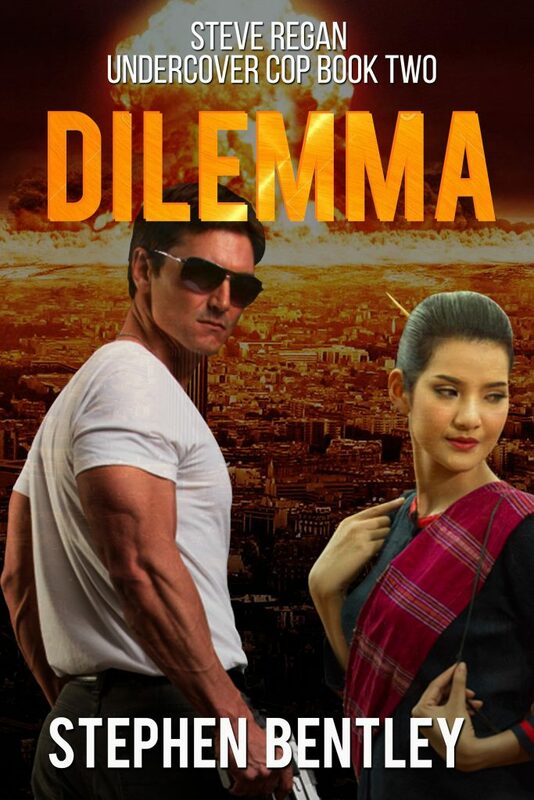 You may wish to know I have twenty free ARC’s of Dilemma for honest reviews. Grab one here on Bookgobbler if you want one. 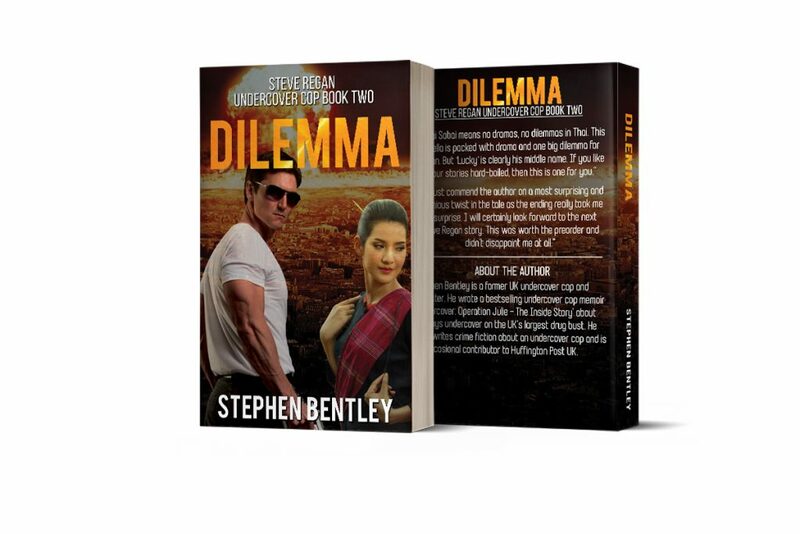 If anyone can spot the difference between the cover above and the cover at the top of the page, I will send them a free Kindle or ePub copy of Dilemma to read and review. Leave the answer in the comments box below. The first correct answer wins.